FRIGHTENED RABBIT-THE STORY SO FAR. It’s at this time of year, that the Scottish music industry’s thoughts turn to the Scottish Album Of The Year Award. It’s Scotland’s most prestigious music prize. Already many albums have been nominated. This includes Frightened Rabbit’s Picture Of Panic Attack, which is regarded as a contender for the Scottish Album Of The Year Award. Picture Of Panic Attack was Frightened Rabbit’s second album for Atlantic Records. Frightened Rabbit had come a long way since Scott Hutchison founded the band. Frightened Rabbit’s roots can be traced back to Scott Hutchison’s teenage years in Selkirk, Scotland. Back then, Scott Hutchison was chronically shy. So much so, that his mother christening her son Frightened Rabbit. This moniker Scott would later resurrect, when he began to play some live shows. Before that, Scott Hutchison had spent the previous six months making recordings on a four-track recorder. By then, Scott was beginning to overcome his shyness. So much so, that he was thinking about playing a few live shows as a solo artist. This was when Scott decided to dust down the Frightened Rabbit moniker. Having adopted the Frightened Rabbit moniker, Scott Hutchison made his first tentative steps into the local music scene in 2003. For the first year, Frightened Rabbit was just Scott and his guitar. After a year, Frightened Rabbit’s lineup expanded. Frightened Rabbit’s latest addition was Grant Hutchison, Scott’s brother. He joined in 2004 and became the band’s drummer. A year later in 2005, bassist Billy Kennedy joined Frightened Rabbit. Already, word was spreading about Frightened Rabbit. This was no surprise. For the first couple of years, Frightened Rabbit were a familiar face on Scotland’s live scene. They knew the only way to build a following was by plating live. There were no short cuts. It also allowed the indie rockers to hone their sound. At their early shows, Frightened Rabbit gave out their email address, promising to send anyone who wanted one , a demo and even biscuits. Soon, demos were being sent not just to the four corners of Scotland, but rest of Britain, and even America. Frightened Rabbit knew the value of self-promotion. These demos would introduce Frightened Rabbit’s music to a much wider audience. So when Frightened Rabbit released their debut album, hopefully, they would have a ready made audience for their music. Before long, Frightened Rabbit were attracting the attention of record companies. It was obvious that they weren’t going to remain an unsigned band for much longer. Frightened Rabbit signed to the Hits The Fan label, and began working on their debut album, Sing The Greys. For their debut album, Sing The Greys Frightened Rabbit had penned ten songs. They were recorded at The Diving Bell Lounge, in Glasgow. Co-producing Sing The Greys, was Marcus MacKay. Once the album was complete, Hits The Fan scheduled the release for the summer of 2006. Before that, critics had their say on Sing The Greys. Frightened Rabbit’s debut album was well received by critics. Several critics thought that Frightened Rabbit were rising stars of the indie scene. Despite this, the Hits The Fan label had only 1,000 copies of Sing The Greys pressed. Given the band already had built up a loyal following, this seemed a strange decision. When Sing The Greys was released on June 5th 2006, the album sold well, and is now something of a collectable. Frightened Rabbit were on their way. Having released their debut album, Frightened Rabbit continued to play live, and spread their musical message. Sing The Greys had introduced Frightened Rabbit’s music to a new audience. This included some record companies who were watching the progress of Frightened Rabbit. This included the Brighton based FatCat Records. They saw the potential in Frightened Rabbit, and signed the band in 2007. Straight away, FatCat Records decided to reissue Sing The Greys. Before that, some parts of the album had to be recorded, while the album was remixed and remastered. The reissue of Sing The Greys on FatCat Records took the pressure off Frightened Rabbit. Now they could spend time writing and recording their sophomore album, The Midnight Organ Fight. 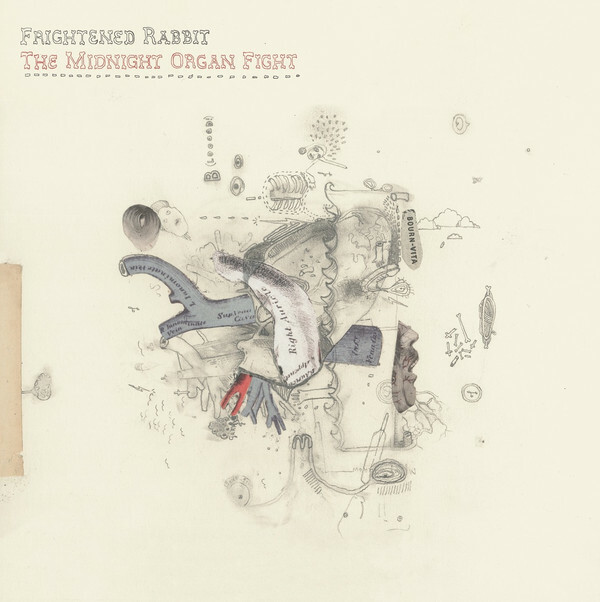 Just like their debut album Sing The Greys, Frightened Rabbit wrote the fourteen songs that became The Midnight Organ Fight. The main difference was that the album was recorded not just in Glasgow, but America. While some of the recording of The Midnight Organ Fight took place at The Diving Bell Lounge, in Glasgow, much of the recording took place at Tarquin Studios, Bridgeport, Connecticut. That was home to producer, engineer, mixer and musician Peter Katis. After a month where Frightened Rabbit spent long hours recording The Midnight Organ Fight, the album was complete. Now Frightened Rabbit headed home to Glasgow, which was now home to the band. With The Midnight Organ Fight recorded, Scott Hutchison was back in Glasgow for New Year. That was where Scott bumped into guitarist and keyboardist Andy Monaghan of Piano Bar Fight on New Year’s Eve. They had supported Frightened Rabbit, and knew each other quite well. However, Andy wasn’t prepared for Scott asking him if he would like to play a few shows with Frightened Rabbit. This wasn’t supporting the band, but as part of the band. Soon, Frightened Rabbit became a quartet. They would make their debut supporting The Midnight Organ Fight, which was scheduled to be released in Spring of 2008. It would soon become apparent that all Frightened Rabbit’s hard work had been worthwhile. When critics heard The Midnight Organ Fight, they spoke as one praising what was a highly accomplished and carefully crafted album. The lyrics met with the approval of critics, who were won over by the honesty. They played in album that was released to overwhelming critical acclaim. This bode well for release of The Midnight Organ Fight. It was released on 15th April 2008. Alas, The Midnight Organ Fight reached just seventy-two in the Scottish album charts. This was a disappointment for Frightened Rabbit. The Midnight Organ Fight looked like it was set to be the band’s breakthrough album. However, Frightened Rabbit returned later in 2008 with their first live album, Quietly Now! When Frightened Rabbit took to the stage at The Captain’s Rest, the proceeded to play what was mostly, an acoustic set. 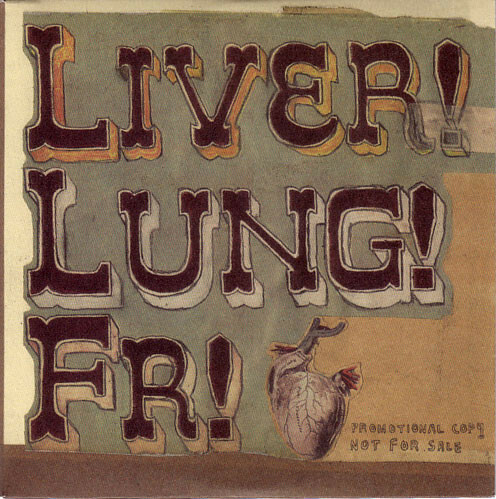 The fourteen songs were mostly taken from The Midnight Organ Fight. Joining Frightened Rabbit, were James Graham from The Twilight Sad. He features on Keep Yourself Warm, while Ross Clark joins Frightened Rabbit on Old Old Fashioned. After fourteen songs, Frightened Rabbit left the stage to rapturous applause. When Quietly Now! was released on October 21st 2008, the album only featured twelve songs. Two songs, the instrumental interludes Bright Pink Bookmark and Extrasupervery were omitted. However, that didn’t matter. They wrote glowing reviews of Quietly Now!, praising Frightened Rabbit’s mostly acoustic performance. Things however, were about to improve for Frightened Rabbit. 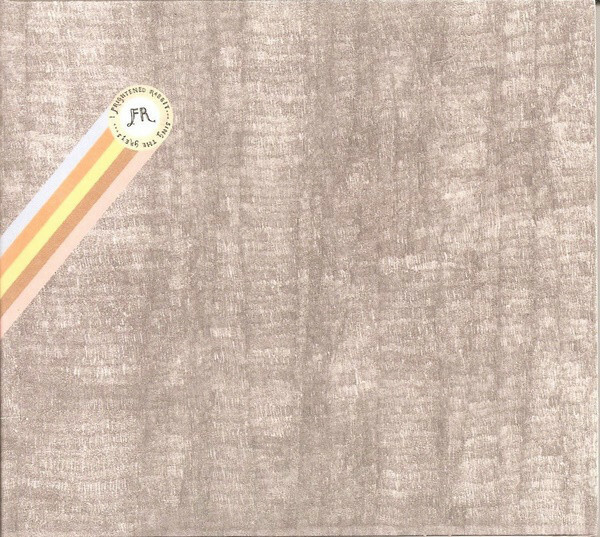 As 2008 drew to a close, The Midnight Organ Fight found its way onto the lists of best albums of 2008. It seemed that hardly a day passed without a magazine, broadsheet or website listing The Midnight Organ Fight as one of the albums of 2008. At least Frightened Rabbit knew they were on the right road. They were determined to come back stronger, with their third album, The Winter of Mixed Drinks. Now a quartet, the new lineup of Frightened Rabbit began work on The Winter of Mixed Drinks. This time though, Scott Hutchison headed to the Fife fishing village Crail. Scott needed to unwind after a gruelling touring schedule. However, during his break in Fife, Scott mixed business and pleasure. He wrote the lyrics to The Winter of Mixed Drinks, in Crail. His surrounding influence the music on The Winter of Mixed Drinks, which has a nautical theme. During his stay in Crail, Scott even recorded some demos. The music would be written by Frightened Rabbit. With The Winter of Mixed Drinks taking shape, Frightened Rabbit headed into the studio. Again, recording was split between Scotland and America. Castle Sound Studios, in Pencaitland, where The Blue Nile had recorded, was used to record much of The Winter of Mixed Drinks. Additional recording took place at Peter Katis’ Tarquin Studios, Bridgeport, Connecticut. By the middle of 2010, the album was complete. Chris Hutchison was keen that there shouldn’t be large gaps between album. However, it wasn’t until March 2010 that FatCat Records released The Winter of Mixed Drinks. However, promotion of the album began in 2009. For the next six months, Frightened Rabbit were involved in a whirlwind of promotional activities and playing live. Then just before the release of The Winter of Mixed Drinks, critics had their say. Just like their previous album The Midnight Organ Fight, The Winter of Mixed Drinks received praise, plaudits and critical acclaim. Critics were won over by the themes of escape, freedom and reinvention. They also welcomed what was a much more focused, polished and optimistic album. The Winter of Mixed Drinks looked as if it was going to be Frightened Rabbit’s breakthrough album. And so it proved to be. When The Winter of Mixed Drinks was released on March 1st 2010, the album reached number ten in Scotland; sixty-one in the UK and eighty-four in the US Billboard 200. That wasn’t the end of the success for Frightened Rabbit. They released four singles between 2009 and 2010 from The Winter of Mixed Drinks. The first was Swim Until You Can’t See Land, which reached number three on the US Sales charts in 2009. The followup Nothing Like You then reached number ten on the US Sales charts in 2010. By then, Frightened Rabbit had featured on American television. Their star was in the ascendancy. Later in 2010, Frightened Rabbit’s luck looked as if it had run out, when Nothing Like You failed to chart. It was then business as normal, when The Loneliness and The Scream number eleven on the US Sales charts. Frightened Rabbit were determined to build on the success they enjoyed in America. Before that, the announcement came that Frightened Rabbit had just signed to Atlantic Records. Frightened Rabbit were ready to make their major label debut, and came bearing gifts. 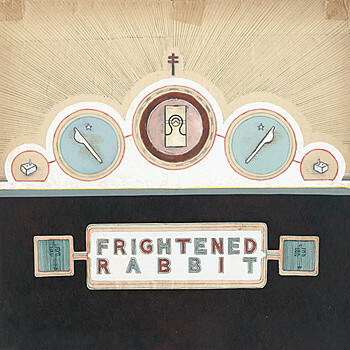 On 28th July 2011, Frightened Rabbit released the State Hospital E.P, which was produced by Leo Abrahams. This was three month’s before Frightened Rabbit’s US tour began. Subscribers to Frightened Rabbit’s newsletter were in for a pleasant surprise, as they could download the State Hospital E.P. free. For a band looking to grow their fan-base in America, this was a minor masterstroke. By 6th December 2011, Frightened Rabbit announced that they were about to be begin pre-production of their major label debut album, Pedestrian Verse. Even by the time pre-production began, Frightened Rabbit were familiar with the songs that became Pedestrian Verse. They had been practising them on their US Tour. Just like The Winter of Mixed Drinks, Scott Hutchison had penned the lyrics and Frightened Rabbit wrote the music to Pedestrian Verse. It was recorded with Leo Abrahams, who co-produced the album with Frightened Rabbit. Previously, Leo Abrahams had produced Frightened Rabbit’s State Hospital E.P. The vastly experienced musician and producer returned to co-produce Pedestrian Verse. Leo Abrahams brought with a huge amount of experience. He had released seven solo albums; worked on numerous collaborations and soundtracks; worked as a session musician and co-produced and produced a variety of artist. It seemed like Leo Abrahams was perfectly qualified to co-produce Pedestrian Verse. Recording of Pedestrian Verse took place at Monnow Valley Studios, in Rockfield; The Distillery in Costa Mesa, California; Strongroom Music Studios, London; Brier Grove and The Flat. Once the album was completed, Craig Silvey mixed Pedestrian Verse. Then one of Britain’s top mastering engineers, Mandy Parnell. took charge of mastering Pedestrian Verse. Only then was the album complete. With Pedestrian Verse ready for release, Atlantic Records began promoting Frightened Rabbit’s major label debut. While FatCat Records had spent the best part of six months promoting, The Winter of Mixed Drinks, this was a whole new ball game. Atlantic Records’ promotional campaign was much more extensive than anything Frightened Rabbit had been part of it. It paid off though. When critics heard Pedestrian Verse, they were impressed by a much more eclectic selection of songs. They dealt with a variety of subjects. Critcis also felt Pedestrian Verse was a much more polished and cohesive album. Again, critics were won over by Frightened Rabbit and the reviews were mostly positive. So with critical acclaim ringing in their ears, Pedestrian Verse was released on 4th February 2013. The album reached number two in Scotland; number nine in the UK; forty-nine in Ireland and sixty-three in the US Billboard 200. 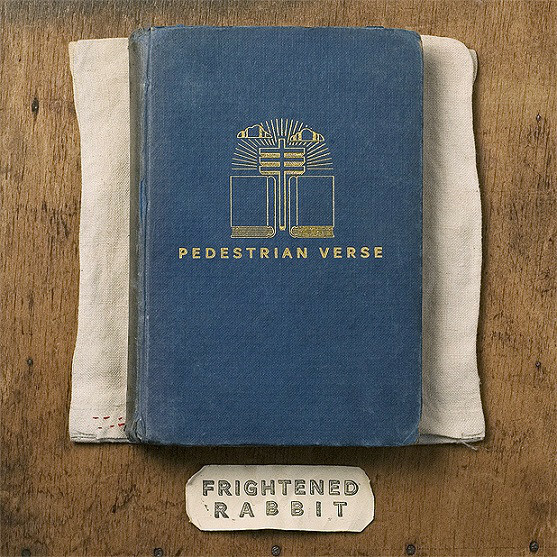 Pedestrian Verse was without doubt, the most successful album of Frightened Rabbit’s career. However, things got even better. The Woodpile was released as a single in 2013, and reached seventy-four in Scotland and forty-two in the Mexico Ingles Airplay chart. Backyard Skulls then reached ninety-five in Scotland and forty-five in the Mexico Ingles Airplay chart. Although the singles were just minor singles, never before had Frightened Rabbit enjoyed a hit in Scotland or Mexico. The Atlantic Records’ years had started well for Frightened Rabbit. After the release of Pedestrian Verse, Frightened Rabbit headed out on the longest and most gruelling tour of their career. Once the seemingly never ending tour was over, Frightened Rabbit decided to take “a break from all band related activities.” This left fans wondering what was happening Frightened Rabbit? Especially when Scott Hutchison and his girlfriend decided to forego the delights of Glasgow for Los Angeles. The story took a twist when Scott decided to record an album as Owl John. Joining him in this new band were Andy Monaghan and Simon Liddell. Owl John was released on 4th of August 2014, and was well received by critics. By then, Gordon Skene had left Frightened Rabbit. At the time, Gordon Skene released a statement on the 25th March 2014 that said: “there is no more to tell other than sometimes things just don’t work out and when people have differing opinions often the best option is to simply part ways and get on with life separately.” Scott Hutchison then had his say. “Without going too far into it, Gordon’s personality didn’t fit with the band.” While that may well be the case, it had taken the other members of Frightened Rabbit the best part of six years to realise this. What wasn’t clear was whether, or when Frightened Rabbit would release another album? Painting Of A Panic Attack. Eventually, the situation became clear earlier in 2016. Frightened Rabbit released a statement via various social media outlets that their fifth album Painting Of A Panic Attack would be released later that year. Frightened Rabbit had written ten of the twelve tracks on Painting of a Panic Attack. The other two, Little Drum and Break were written by producer Aaron Dessner. The twelve tracks that became Painting Of A Panic Attack were recorded in seven studios. Recording of Painting Of A Panic Attack took place at 312, Glasgow; Audio Lounge, Glasgow; Bryn Derwen, Bethesda; Monnow Valley, Monmouth; Dreamland Recording Studios, in New York; Aaron’s Garage; 312, Glasgow; The Audio Lounge, Glasgow and Toast Studios, London. That was where Frightened Rabbit and a new face laid down the twelve songs. As recording began Scott Hutchison took charge of lead vocals and played rhythm guitar. His brother Grant, played drums, percussion and added backing vocals. Billy Kennedy’s mostly played bass, but could play guitar, keyboards and aded backing vocals. Andy Monaghan was another multi-instrumentalist, who played guitar, keyboards and bass. The new face was Simon Liddell who toured with Frightened Rabbit during 2013 and 2014. He played guitar and keyboards, and replaced Gordon Skene. This latest lineup of Frightened Rabbit recorded Painting Of A Panic Attack. Once it was completed, it was ready for release. Before that, Painting Of A Panic Attack was released to mostly critical acclaim. There was the occasional critic that wasn’t won over by Frightened Rabbit’s latest offering. Mostly, though, Frightened Rabbit’s fifth album Painting Of A Panic Attack was a return to form. When Painting Of A Panic Attack was released on 8th April 2016, it reached number one in their native Scotland. In the UK, Painting Of A Panic Attack reached fourteen. Across the Atlantic in America, Painting Of A Panic Attack reached number seventy in the US Billboard 200. Frightened Rabbit were building on the success of Pedestrian Verse. Painting Of A Panic Attack was another carefully crafted album of anthems and ballads. Mostly, though, anthems are to the fore on Painting Of A Panic Attack. Just like the ballads on Painting Of A Panic Attack, they feature lyrics that are variously cerebral, cinematic, dark, insightful and wistful. Lead singer and songwriter Chris Hutchison, brings these lyrics to life. He’s a storyteller who breathes emotion and meaning into the lyrics. That’s the case whether it’s on the ballads or anthems. There’s hooks aplenty on the anthems, which will be favourites when Frightened Rabbit play live. They’ve been doing a lot of that since Scott Hutchison formed Frightened Rabbit in Selkirk, back in 2003. Since then, Frightened Rabbit have come long way. They’re now well on their way to becoming one of the most successful current Scottish bands. That’s no wonder. While other bands spend years navel gazing, and bemoaning their lack of luck, Frightened Rabbit have not only made their own luck. This has paid off. When Frighted Rabbit released Pedestrian Verse in 2013, they were making their major label debut. Frightened Rabbit had signed to Atlantic Records and had the major label machine behind Pedestrian Verse. Atlantic Records had the budget and expertise to promote an album that had been released to Pedestrian Verse. It was hailed as Frightened Rabbit’s finest hour. Record buyers agreed, and Pedestrian Verse charted on both sides of the Atlantic. Pedestrian Verse was and remains Frightened Rabbit’s most successful album. Three years later, and Frightened Rabbit returned with in April 2016. 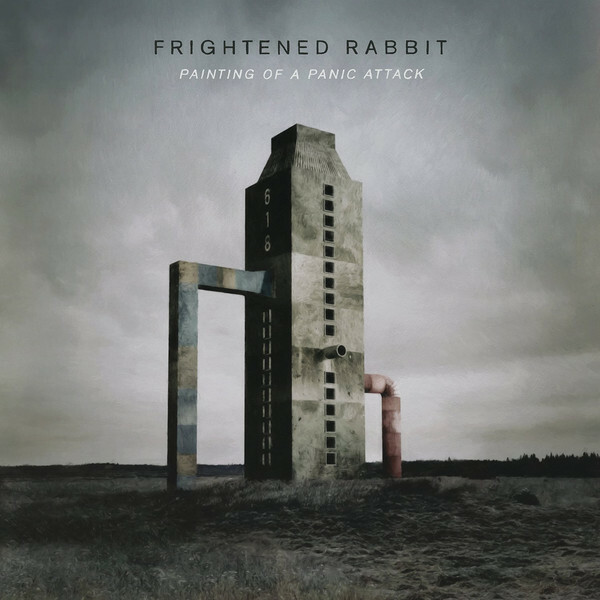 Critical acclaim accompanied the release of Painting Of A Panic Attack what was a career-defining album from Frightened Rabbit Painting Of A Panic. Just like Pedestrian Verse, Painting Of A Panic Attack sold well on both sides of the Atlantic. With its ballads and hook-laden anthems, Painting Of A Panic Attack was Frightened Rabbit’s finest hour and surely, must be a contender for the Scottish Album Of The Year Award? ← ELECTRIC LIGHT ORCHESTRA’S SEVENTIES’ HEYDAY.